Hyman B. Muss, MD - Play for P.I.N.K. BCRF/PFP has been essential in allowing us to test whether molecular markers of aging can predict chemotherapy toxicity in women with breast cancer. Seeking to improve quality of life in older breast cancer patients. Laboratory and clinical studies are conducted to evaluate the effects of chemotherapy on premature aging and other quality of life and functioning measures. These studies are providing new insight into the effects of chemotherapy in patients of any age and informing interventions to improve patient quality of life. Chemotherapy, while effective in killing cancer cells, also affects healthy tissue, resulting in a variety of side effects that reduce quality of life and daily functioning. Recent studies have also shown that chemotherapy ages cells in the body, including immune cells. Dr. Muss is conducting studies using a marker of cell aging to identify strategies to reduce the chemotherapy-induced effects of aging in breast cancer patients of all ages. P16, a gene that inhibits cell division, increases 10- to 20-fold between the ages of 20 and 80, making it a molecular marker of aging. Work by Dr. Muss and colleagues has shown that standard breast cancer chemotherapy increases p16 levels in immune cells (T lymphocytes) as much as 200 percent. They have also shown that adjuvant chemotherapy for early breast cancer ages the immune system by about 5 to 15 years. Not all chemotherapy regimens are similar in aging the immune system. Avoiding anthracycline-containing regimens (doxorubicin) may result in less aging. In the coming year, Dr. Muss will continue his studies in patients of all ages to characterize the effect of chemotherapy on the immune system, using p16 as a marker of aging in immune cells. In addition, he continues his study to see if moderate exercise can diminish the chemotherapy-induced aging of immune cells and maintain or improve body composition, quality of life, and daily functioning. 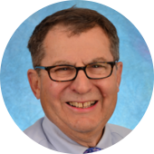 Dr. Muss is an experienced clinician-scientist, a Professor of Medicine at the University of North Carolina School of Medicine, and the Director of the Geriatric Oncology Program at the UNC Lineberger Comprehensive Cancer Center Program. He has a major interest and research expertise in the care of women with breast cancer and has developed and been PI of multiple clinical and translational trials. He was the lead author of a CALGB trial and seminal NEJM article that compared standard with oral chemotherapy in older women with early stage breast cancer. In addition, he has previously chaired the Breast Committee of the CALGB and currently is co-chair the Alliance (NCI Cooperative Group) Committee on Cancer in the Elderly. He has been Medical Oncology Chair and a member of the board of Directors of the American Board of Internal Medicine, and a member of the Board of Directors of the American Society of Clinical Oncology (ASCO) and the Conquer Cancer Foundation. He was awarded the B.J. Kennedy Award in Geriatric Oncology by ASCO, and was awarded the Susan G. Komen for the Cure Brinker Award for Scientific Distinction in Clinical Research in 2012. He served in the US Army in Vietnam where he was awarded the Bronze Star medal. His current research focuses on geriatric oncology and breast cancer, with a special interest in breast cancer in older women.